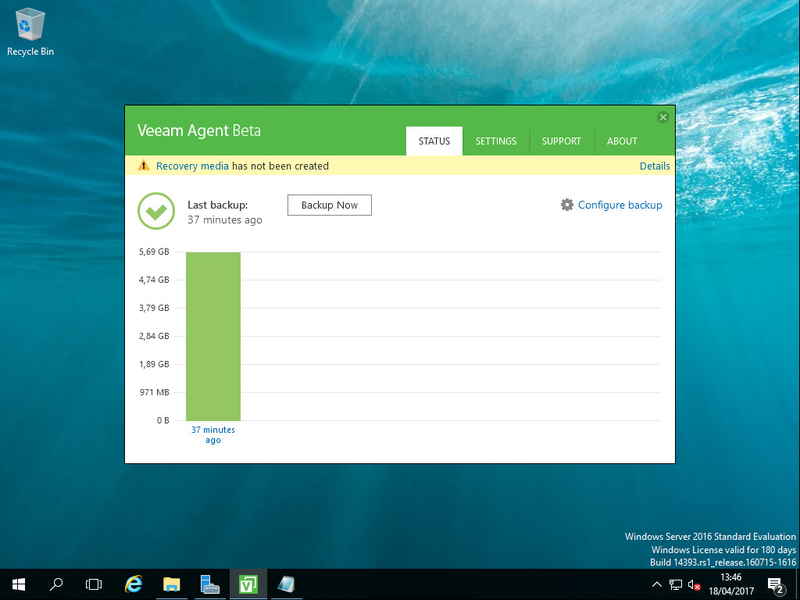 So with the new upcoming version of Veeam Agent for Windows, you will be able to backup directly to a Backup & Replication server. 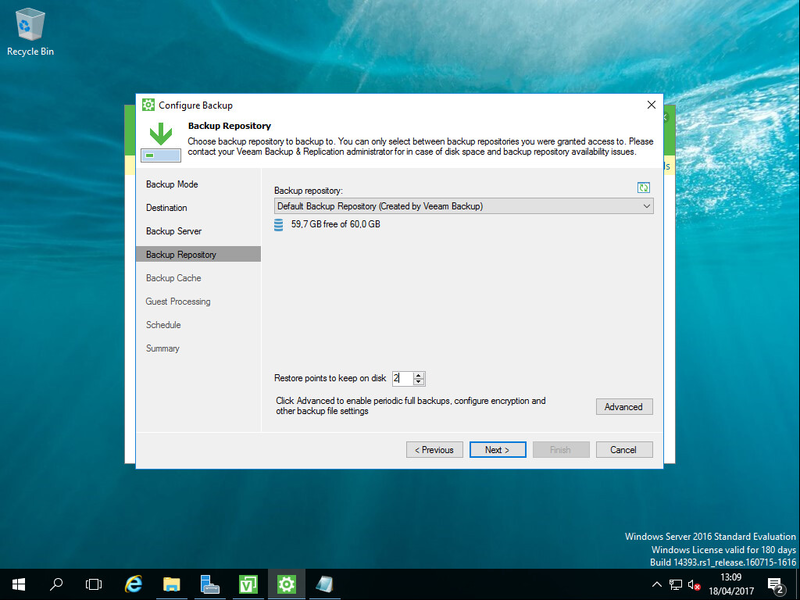 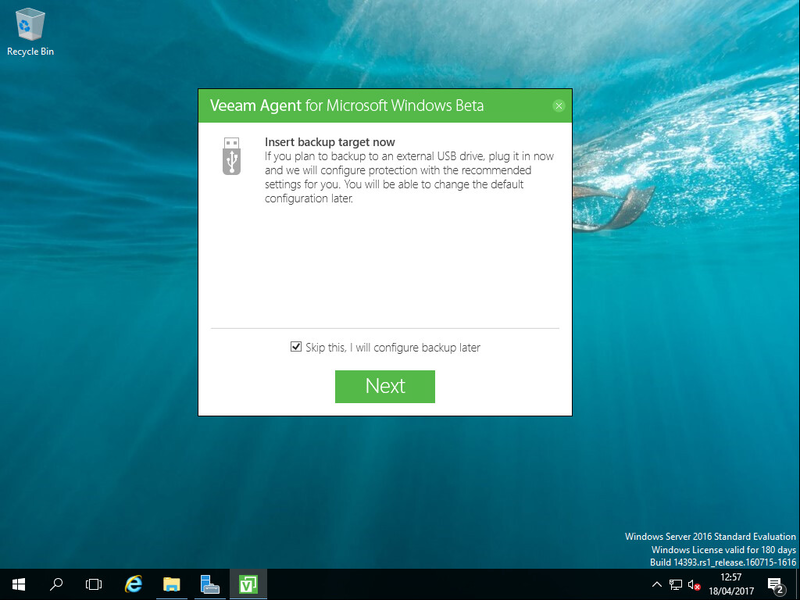 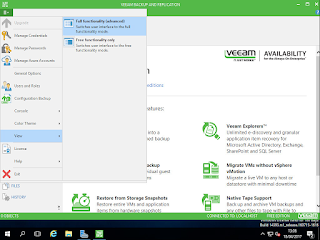 Not everybody knows this but you will also be able to backup to Veeam Backup & Replication Free Edition provided you have a license for the Veeam Agent for Windows. 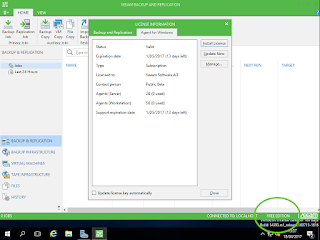 This might be important for smaller shops who have only a couple of machines and do not have a Veeam Backup & Replication license. 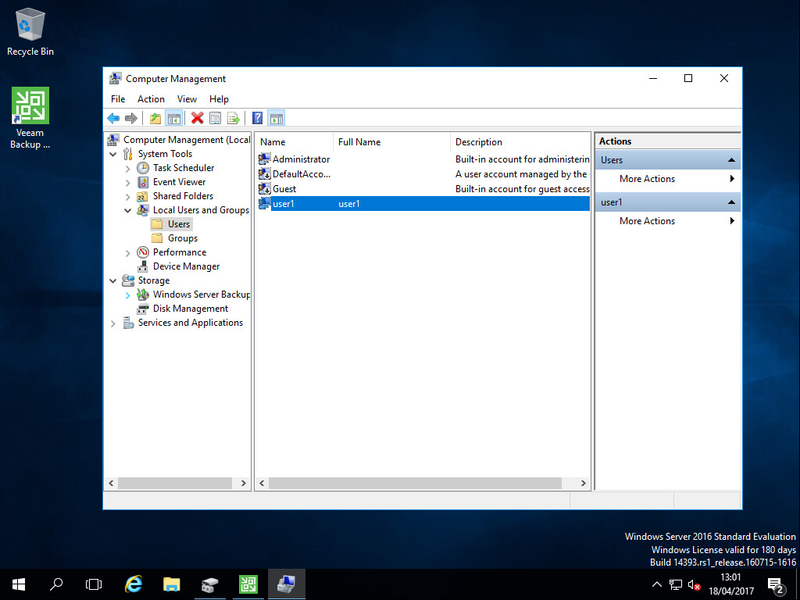 The steps to enable this are not so difficult but without the GA product, there is no documentation so it might be difficult to figure out how it all ties together. 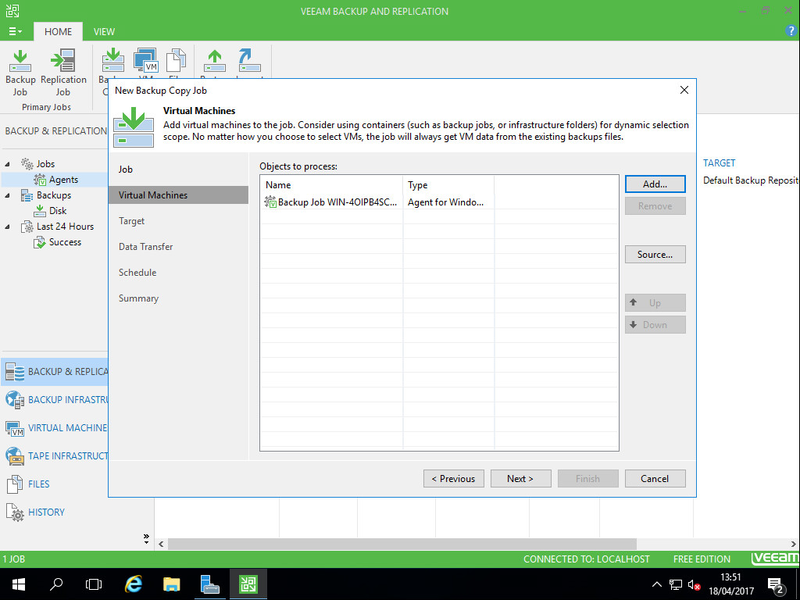 So here are the 7 steps you need to take to get it all working. Special thanks to Clint Wyckoff who shared these instructions internally. Fairly simple start. 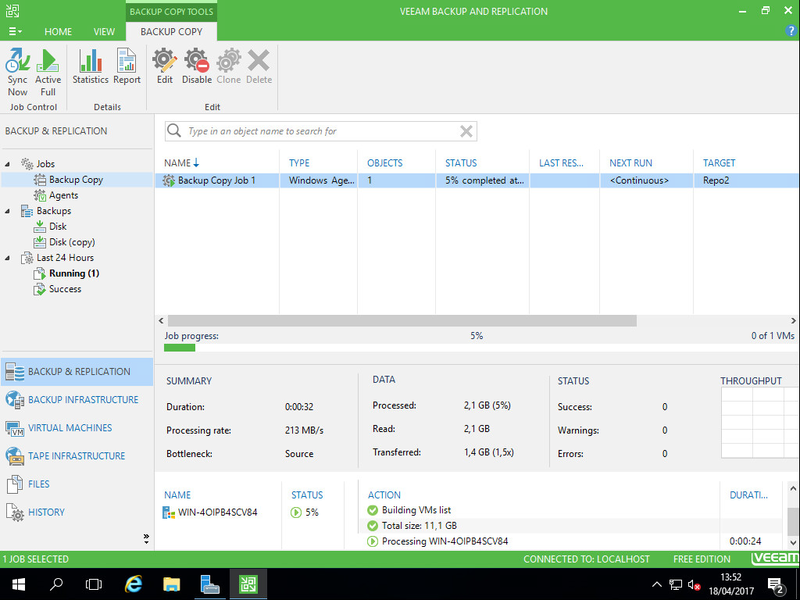 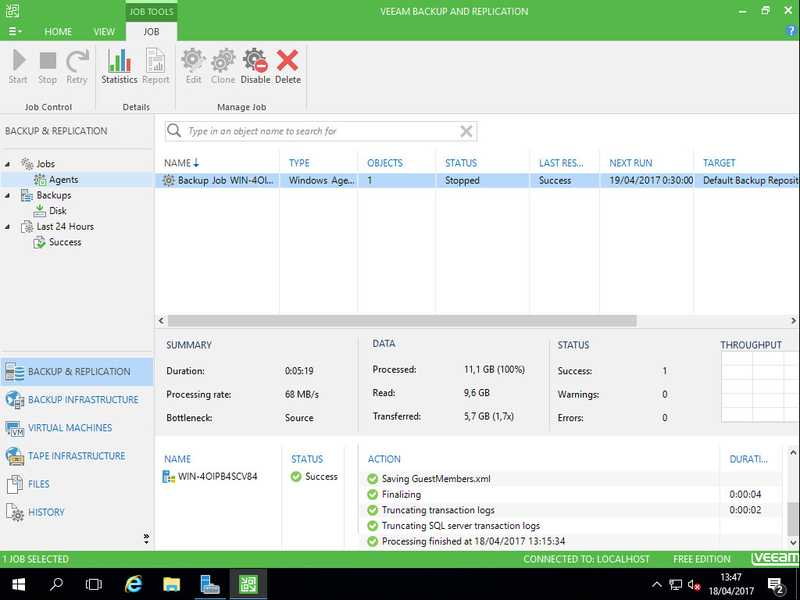 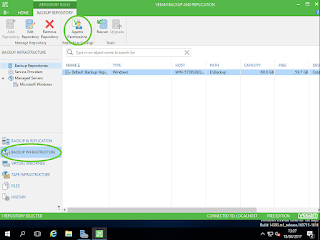 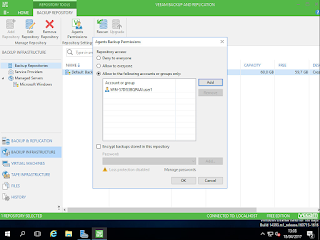 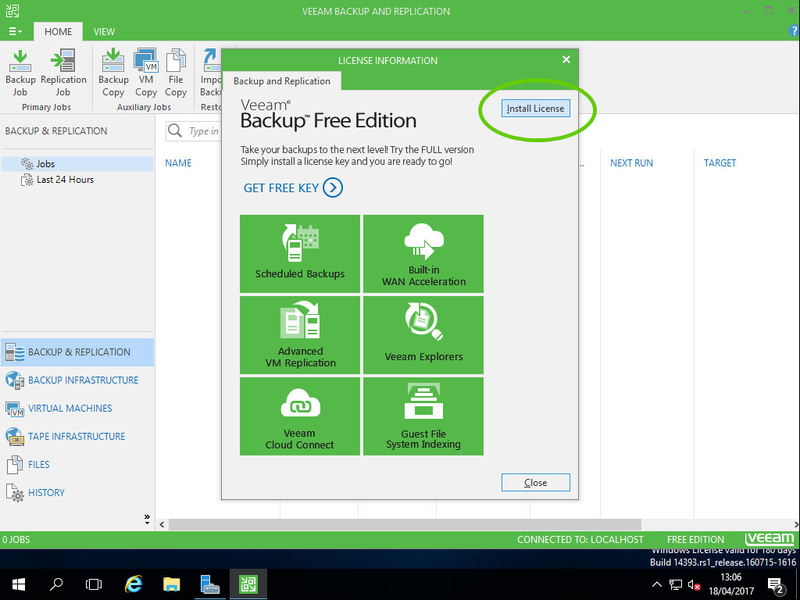 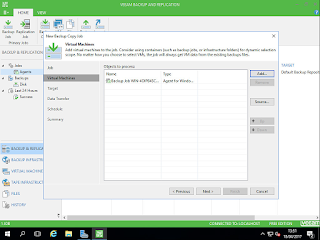 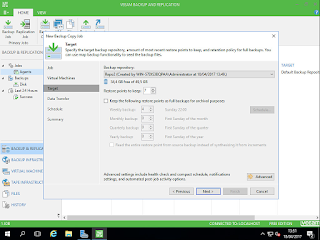 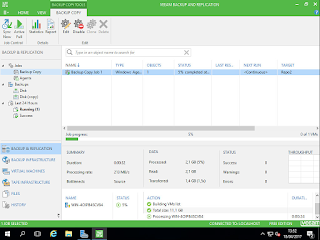 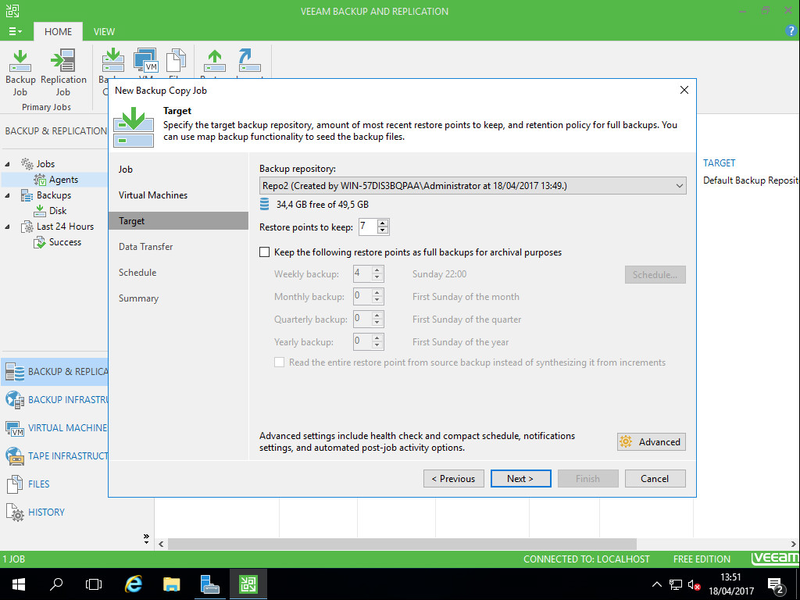 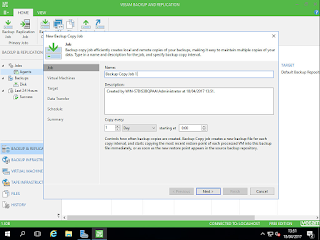 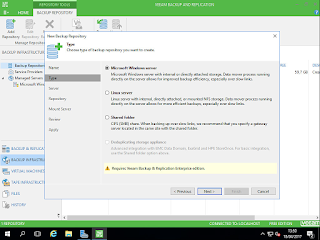 Download Veeam Backup & Replication Free Edition. 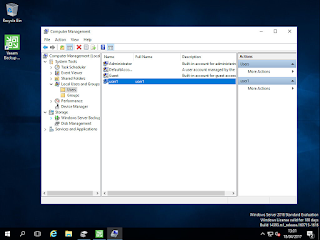 Then mount the ISO to your target server, click the install button to start the installation. Basically, in this example, we did a next next next finish install. 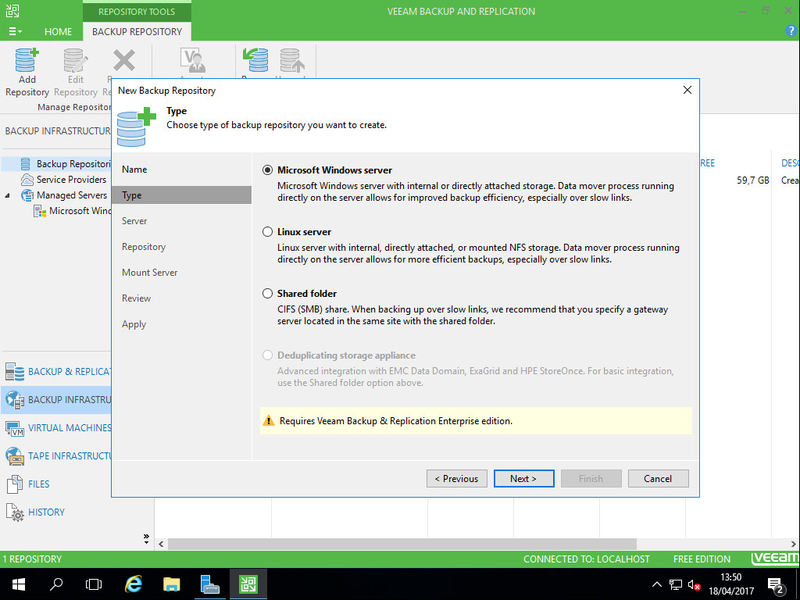 If you are doing this in production, it might actually be good to read what you are doing. 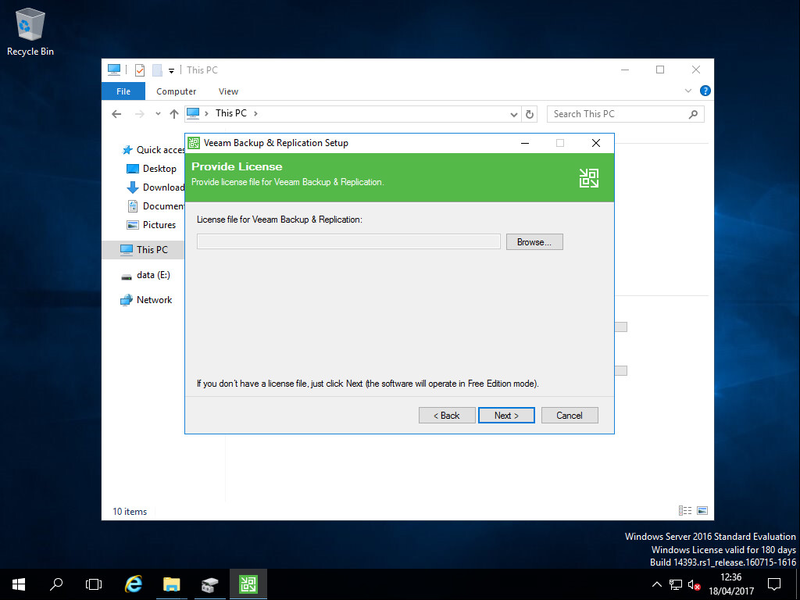 Notice in the license step, I did not assign any license so the free mode will be installed. 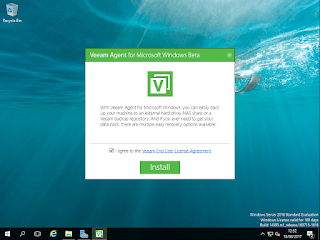 This might also be confusing, but you do not need to add the license during the Veeam Agent for Windows install. 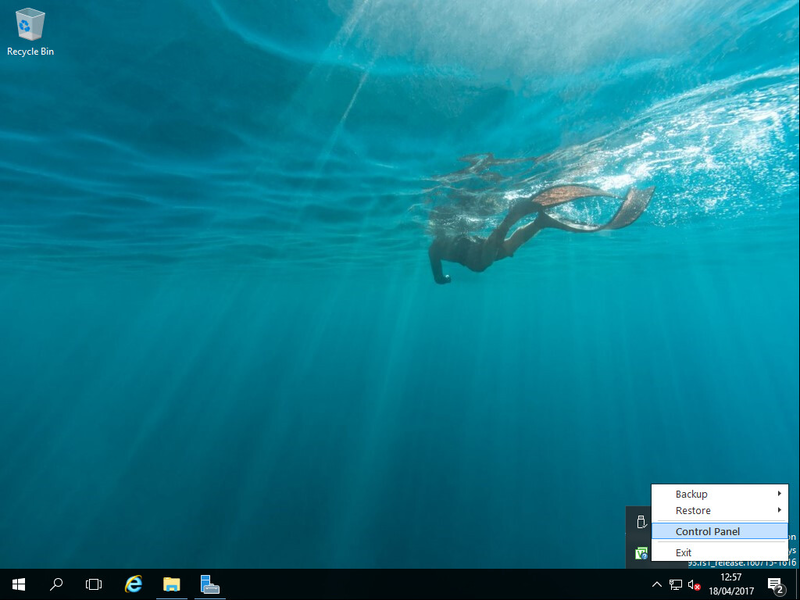 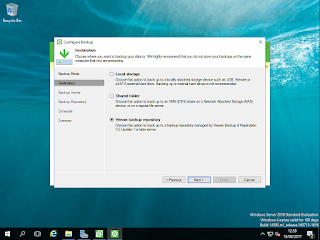 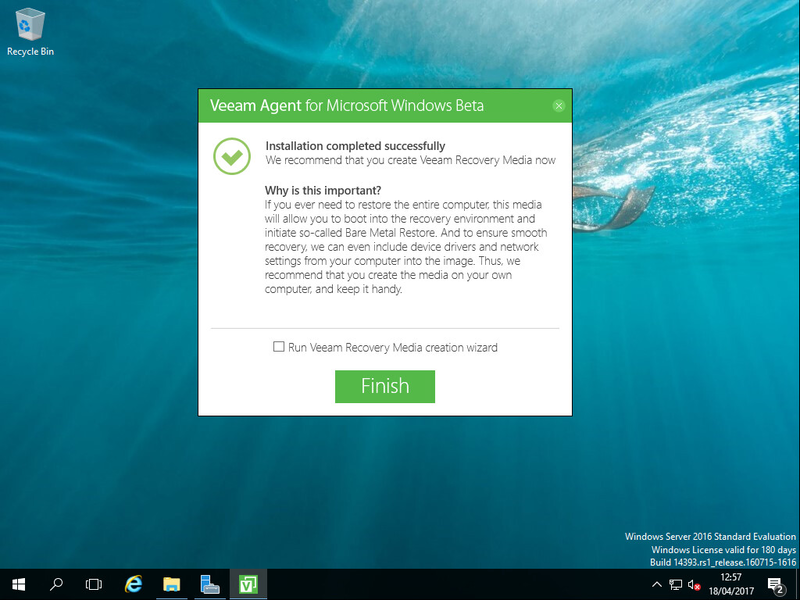 Rather, you add it to Veeam Backup & Replication and then, when you connect a Veeam Agent for Windows to VBR, it will acquire the license from the VBR server. This is good because you get a central place to manage the license. Installing the agent on another machine should be fairly trivial. 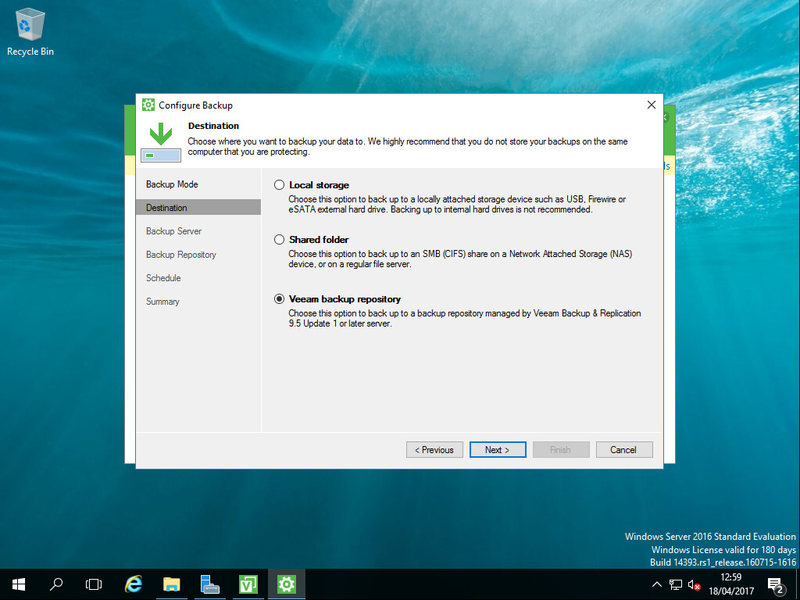 However, in this setup, we choose not to configure the backup during install nor to create a recovery medium. 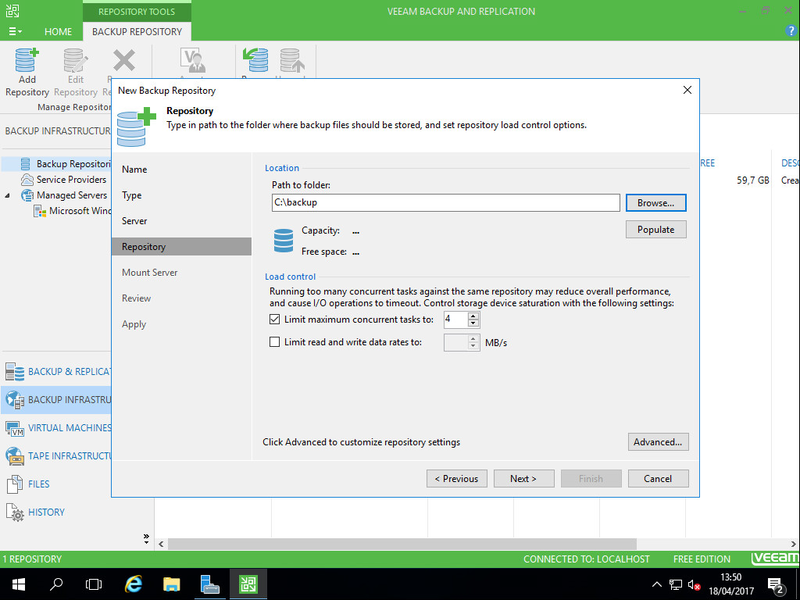 However I would highly recommend you to do create a recovery medium so that you can execute bare metal recoveries if needed. 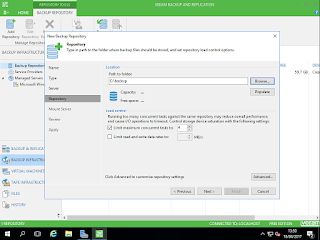 Once the product is installed, we can configure it. 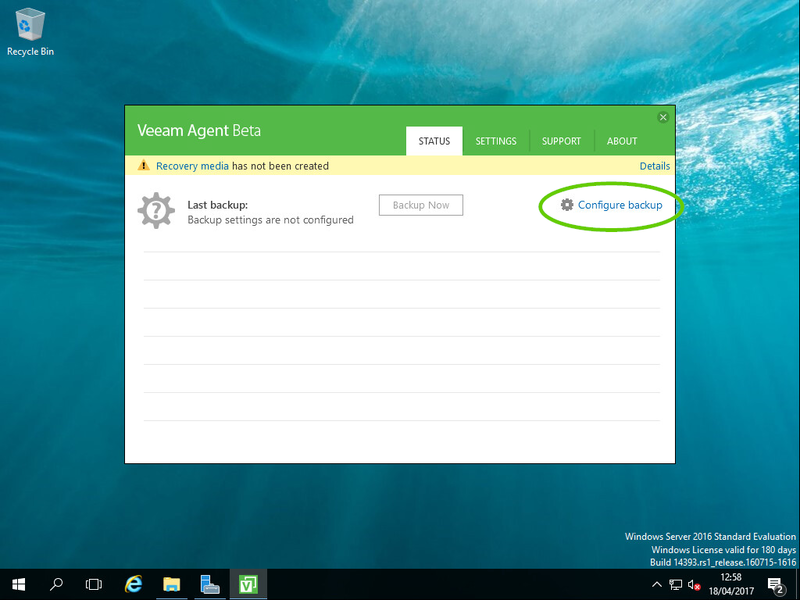 To open the control panel, go to your system tray. 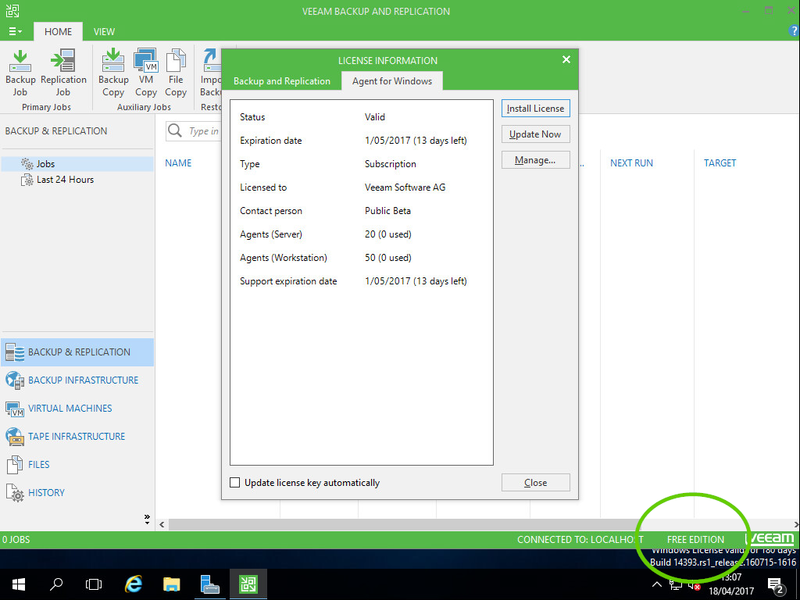 A new icon should have appeared which has a green V. Because we did not configure anything yet, it should also have a small blue question mark on it. Right click it and select control panel. When the control panel appears, ignore the fact that it does not have a license (click no). 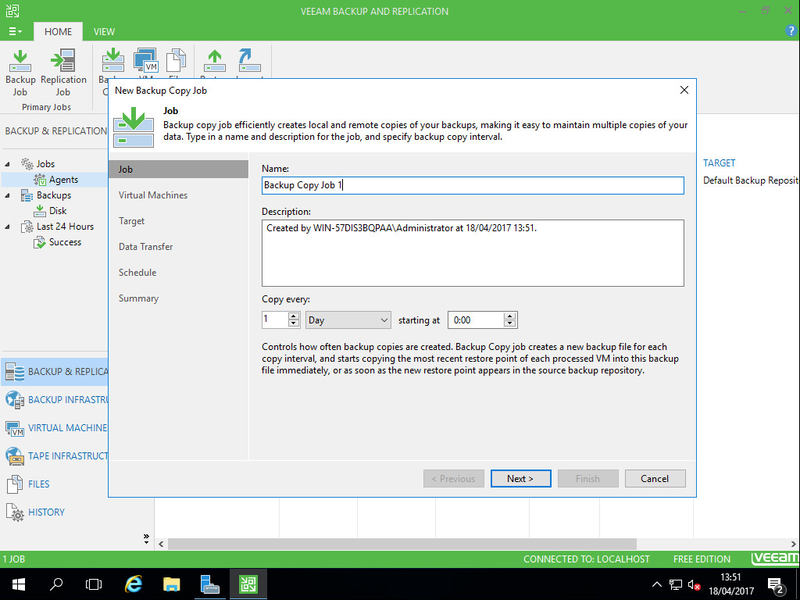 Click configure backup to start the configuration. Finally in the backup wizard, as a target select Veeam Backup & Replication Repository. 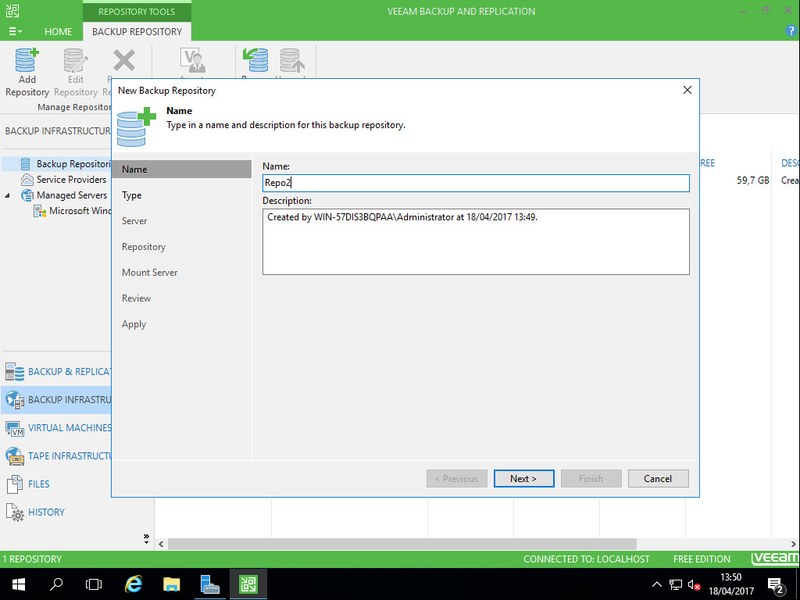 Specify the FQDN/IP and the credentials. 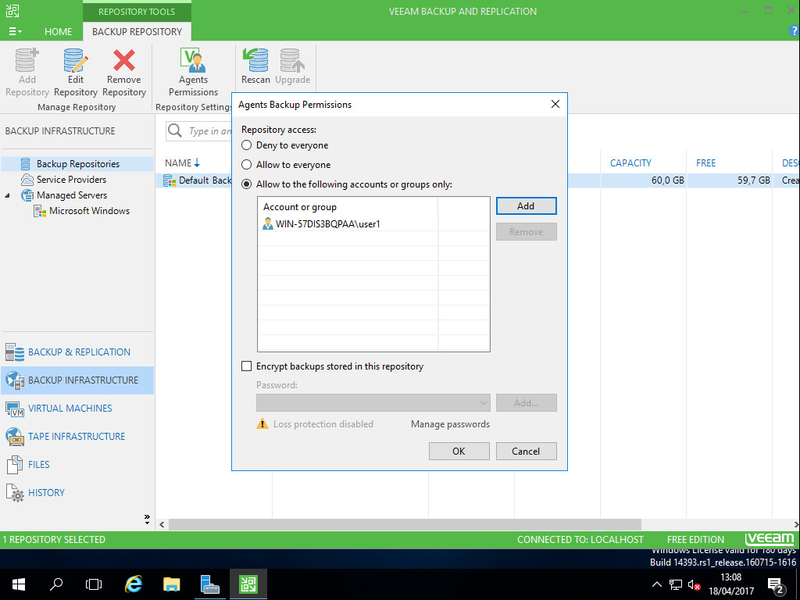 When you click next, the permissions are checked and the license is acquired from the backup server. 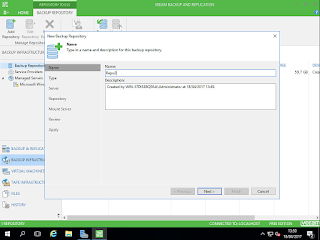 In the next step, you are able to select the repository. 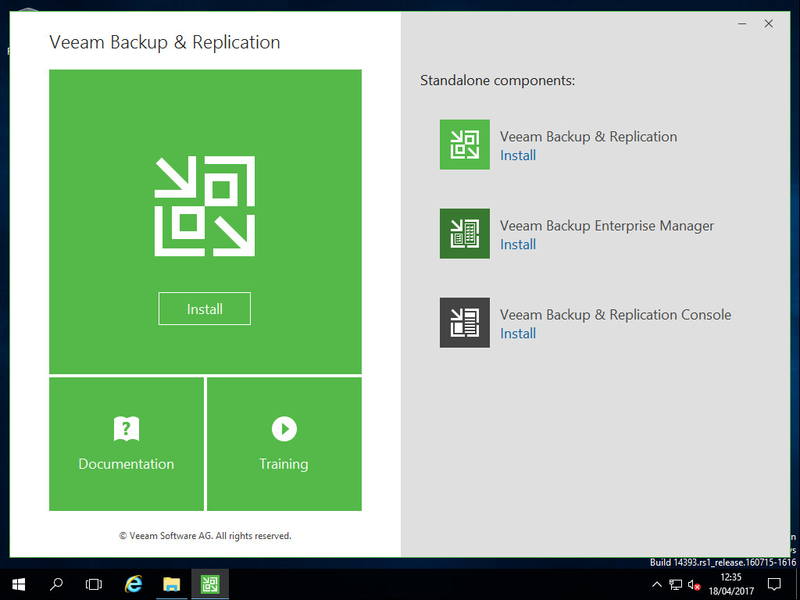 With the configuration done, you are ready to run the backup. 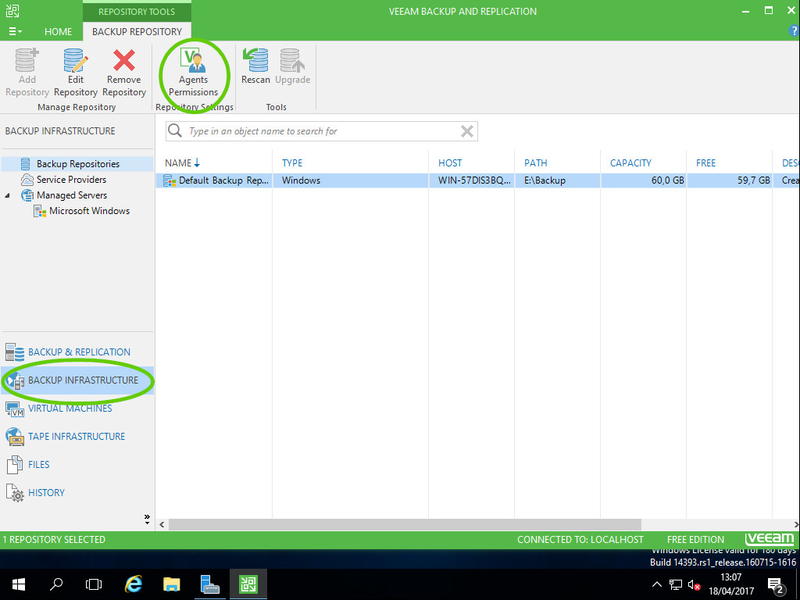 You can see the backup job and backup from the Veeam Backup & Replication repository. 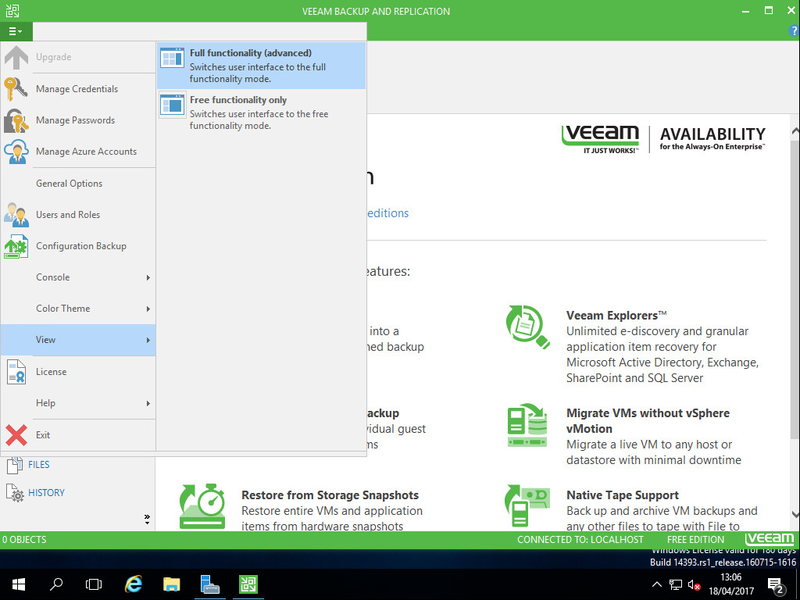 Well, you can explore what other functionality is enabled when you backup to a free edition. 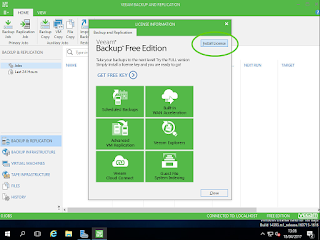 One cool feature would be to "backup copy" your job to a second location. 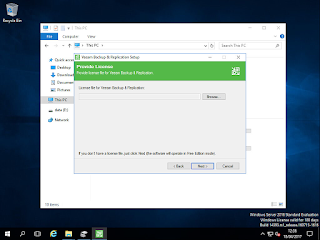 For example, in the following screenshot, I defined a repository on another drive, and then did a backup copy job to the second location.